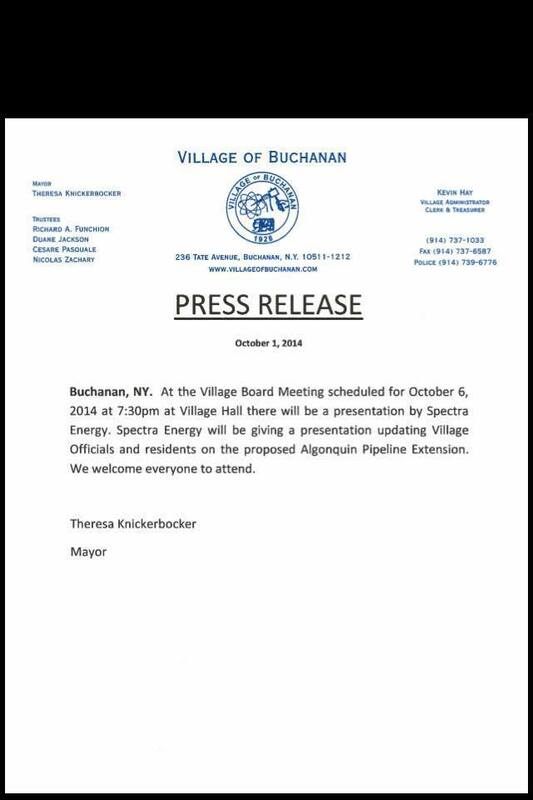 Spectra will be in Buchanan tomorrow night to “update” the Buchanan Town Board on the AIM project. Given the revelation that there will be a pigging station in Village of Buchanan. It was recently brought to the attention of Mayor Knickerbocker (mayor of Buchanan) that Spectra is planning to put a pigging station in Buchanan! It was hidden on a single table of a single page of the Draft Environmental Impact Statement that is over 500 pages long. A pigging station is for the removal of radioactive, hazardous waste, and it will be right in Buchanan. It’s less than half a mile to Buchanan-Verplanck Elementary School. It’s next door to homes!